Why is it beneficial to be a supplier? There are more and more retailers looking for suppliers worldwide. However, Shopify retailers have a hard time finding the perfect drop ship or wholesale partner. Take advantage of this demand and turn your Shopify store into a supplier business as well. Sell more easily. 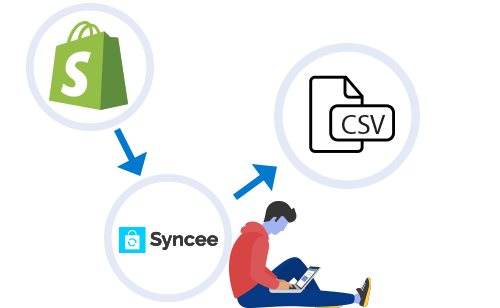 Export your products data into a CSV file with the help of Syncee and share it with other Shopify retailers to boost your business. Use Syncee to export product data into a CSV file automatically any time you want. You can filter data you do not need and schedule the export whenever you want. It’s a free of charge opportunity for suppliers to be listed in our supplier catalog. You can reach thousands of potential Shopify retailers. Contact us if you need help with the integration. It’s a free opportunity for suppliers. Syncee’s team is also experienced in building online stores. Our site builder Shopify Expert company, Digiloop, has already helped many merchants in creating their visually attractive and highly converting Shopify store. Sell to 800,000 Shopify store owners!